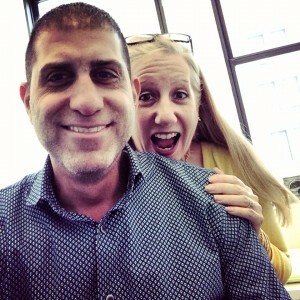 Like Christmas, my annual Hosting for Home Shopping, Infomercials & Branded Content class with Sean De Simone only happens once per year and this year it’s July 21st in New York City. There is a lot of opportunity in this space for experienced hosts, lifestyle experts and influencers but it’s highly competitive. Sean has cast all the hosts QVC for the past ten years plus many of their brand ambassadors, while I have cast for HSN and media coached talent from audition to the final callback phase. We combine all that experience and inside information in our one-of-a-kind class to share what you really need to know and how to prepare + how to let go of misinformation and limiting beliefs that are holding you back. Everyone appears on camera multiple times, receives real-time feedback and a link to their video. It was about 5 years ago that I did my first workshop with both of you in New York. I traveled to New York for about three years straight. Know that I hung on to every note and reviewed them each time I had an audition. Thank you for your words of advice, patience and kindness over the years! I’m looking forward to working in the industry and learning. The opportunity to begin a national TV host career is something I’ve thought about and dreamed of for many years. Thanks in advance for your positive energy as I begin my new life. Sean and I hope to see you this year!